The Genealogy Guys Blog: Welcome to The Genealogy Guys Blog! Welcome to The Genealogy Guys Blog! Welcome to the newest addition to The Genealogy Guys communications family. We are very proud to debut our new blog. and some of our personal experience examples to illustrate our own investigative challenges, methodological approaches, and tools and resources that help solve research problems. These examples will, of course, employ your products and services. 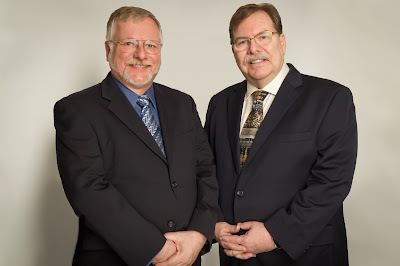 We may also provide glimpses into breaking news stories or discussion topics coming in the next episode of The Genealogy Guys Podcast, or we may share an introduction to Drew's upcoming guests on the Genealogy Connection podcast. Our goal is to keep you better informed by providing you with more communications between podcasts. Sharing more frequent information will give you the knowledge to stay abreast of the genealogy community. We hope that will help you become a better genealogical consumer and researcher. We want you to enjoy The Genealogy Guys Blog! Subscribe to the blog or bookmark this site so you can always reach it quickly. And if you're not sure what our podcasts are all about and how to access and/or subscribe to them, check out the Instructions link on the right side of the blog page. We want to hear from you about what you'd like to hear on the podcasts and what content we can add to this blog. You can always email us at genealogyguys@gmail.com. And be sure to let your friends and other society members know about the blog and the podcasts. Thank you for listening to the podcasts ... and for following the new blog! Great news! You two are the best source of genealogy information I've used, and I've enjoyed your Website and podcast for many years. Looking forward to learning a lot from your new blog, just like I look forward to listening to your podcasts! Congratulations to the blog it looks great.